DULLES, Va., Apr 27, 2010 (BUSINESS WIRE) --Orbital Sciences Corporation (NYSE:ORB), one of the world's leading space technology companies, today announced that it successfully launched the first Minotaur IV rocket in support of the Defense Advanced Research Projects Agency's (DARPA) Hypersonic Technology Vehicle-2 (HTV-2) program. The Minotaur IV rocket is the newest in the Minotaur family of launchers that Orbital produces for the U.S. Air Force under the Orbital/Suborbital Program-2 contract. The mission originated from Vandenberg Air Force Base, CA, when the rocket lifted off from Space Launch Complex-8 at approximately 4:00 p.m. (PST) on Thursday, 22 April. The Minotaur IV flew a suborbital trajectory downrange over the Pacific and delivered the HTV-2 glide vehicle to the desired separation conditions. The Minotaur IV launch vehicle is based on decommissioned Peacekeeper rocket motors that Orbital integrates and upgrades with modern avionics and other subsystems to produce a cost-effective booster based on flight-proven hardware. For the HTV-2 mission, Orbital flew the three-stage Minotaur IV "Lite" version of the rocket to carry out the suborbital flight trajectory. The first orbital mission of the four-stage Minotaur IV configuration will take place this summer when it launches the Air Force's Space Base Space Surveillance (SBSS) satellite. 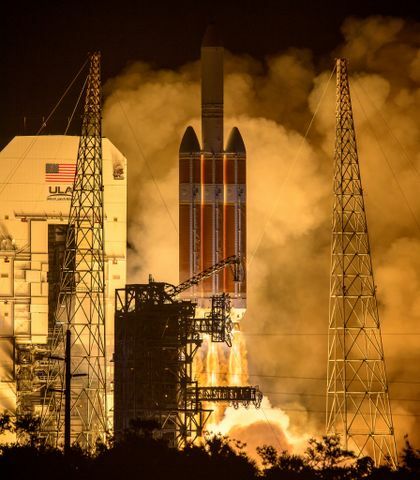 "We are very proud of our record of supporting the U.S. Air Force with reliable, cost-effective Minotaur launchers for U.S. Government space and research programs," said Mr. Ron Grabe, Orbital's Executive Vice President and General Manager of its Launch Systems Group. "In particular, we are very pleased to accomplish another first flight success for launch vehicles developed by Orbital, just as we did for other Orbital rocket programs such as Pegasus, Taurus and Minotaur I and II." 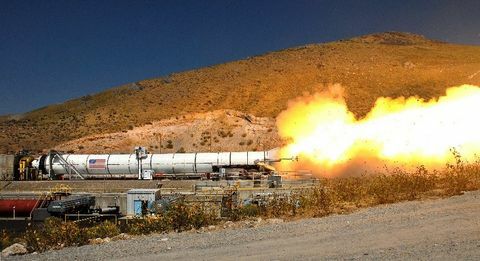 The Minotaur IV space launch vehicle leverages the flight-proven heritage of Orbital's Minotaur I, Pegasus and Taurus space launch vehicles to provide a reliable, capable and cost-effective space launcher. Minotaur IV utilizes three government-furnished solid rocket motors from decommissioned Peacekeeper ICBMs and, in certain configurations, a commercial solid rocket upper stage. Building on long experience of launch systems with over 50 flights of each core stage, Minotaur IV is capable of launching payloads up to 3,800 lbs. (1,730 kgs.) 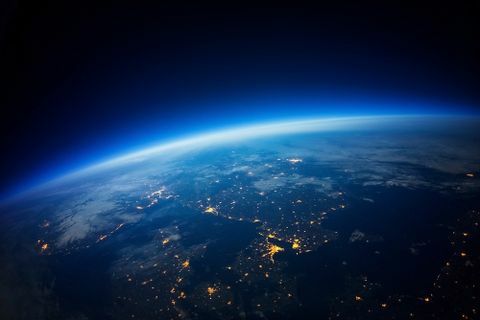 to low Earth orbit.